This Fall, I served as special media correspondent for the Council on Tall Buildings and Urban Habitat‘s September symposium in Shanghai. The topic was “Future Cities: Towards Sustainable Vertical Urbanism,” and among the many architects, engineers and other tall building types I interviewed was Peter Kok, associate general manager of Shum Yip Land, the commercial property arm of Shenzhen Investment. Kok shared his thoughts (along with others at the conference) on how to avoid homogeneity among skylines worldwide. “The problem with all the new buildings, new hotels is people don't recognize the city,” said Kok. “So I think we need to add some cultural elements to it.” He mentioned incorporating local materials into new construction projects, as well drawing on local traditions of vernacular architecture. And, Kok said, nature should be part and parcel with high-tech urban skyscrapers. “We should not only see nature,” said Kok. 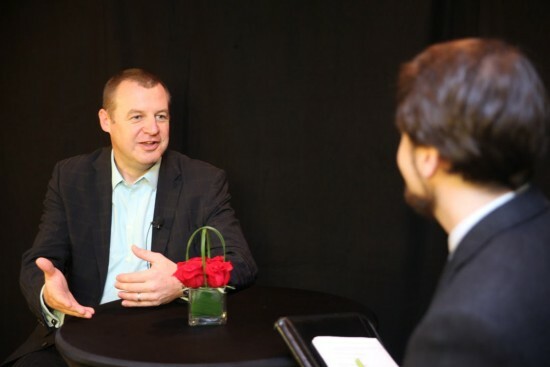 “We should be part of it and mingle with it so you can really enjoy nature in these high-rise buildings.” Watch the full video interview embedded from YouTube, or here on CTBUH's website, along with the rest of the videos in the series. Last September, the Council on Tall Buildings and Urban Habitat invited me to serve as the special media correspondent for its Shanghai symposium, entitled Future Cities: Towards Sustainable Vertical Urbanism. I conducted video interviews with dozens of architects, developers, building managers, and others on topics relevant to tall building design and sustainable urbanism. Among the many designers, engineers and other tall building types I interviewed was Luke Leung, director of sustainable engineering for SOM. In Shanghai's Jin Mao Tower (an SOM building), we talked air quality, sustainable design metrics, and whether humanity might be able to build ourselves out of the environmental mess we find ourselves in. 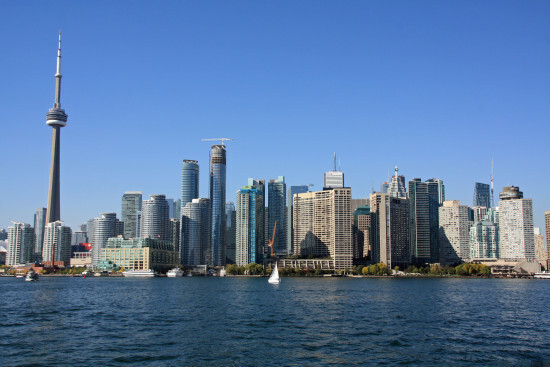 "The tall building can help to create better health and potentially less carbon emissions in the city per capita," Leung said, but he added it's important to address the issue holistically. We need to reduce emissions associated with embodied carbon, transportation carbon and operating carbon, Leung said: “We need to strike to make those three components to be all approaching net-zero.” Asked if LEED is still the best way to rank green buildings, Leung acknowledged shortcomings in how we talk about sustainable design. “It's amazing that the focus is on energy and water, while the building is designed for human beings,” he said. And he called for more attention to human-centric systems that address human health: “From that standpoint all the green building systems, they have room for improvement, but LEED is one that starts addressing some of those issues.” Finally, in light of technological progress, Leung stressed humility before nature. “[To] go back and listen to the basic laws of nature is our best bet,” Leung said. “But that time is limited.” Watch more videos on CTBUH’s website, and on YouTube. You can subscribe to their monthly video series here. Last September, the Council on Tall Buildings and Urban Habitat invited me to serve as the special media correspondent for its Shanghai symposium, entitled Future Cities: Towards Sustainable Vertical Urbanism. I conducted video interviews with dozens of architects, developers, building managers, and others on topics relevant to tall building design and sustainable urbanism. 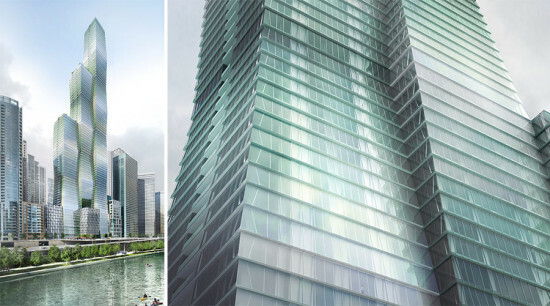 Among the many designers, engineers and other tall building types I interviewed was Christopher Drew, director of sustainability for Chicago's Adrian Smith + Gordon Gill Architecture. In Shanghai's Jin Mao Tower, we talked about responsive design and environmental technology—everything from greenery and air quality to geothermal energy and the possibilities of net-zero skyscrapers. “It's not going to suddenly happen, it's going to happen incrementally,” he said of net-zero tall buildings. “I absolutely believe it's possible.” His comments on disaster and climate resilience were also revealing. 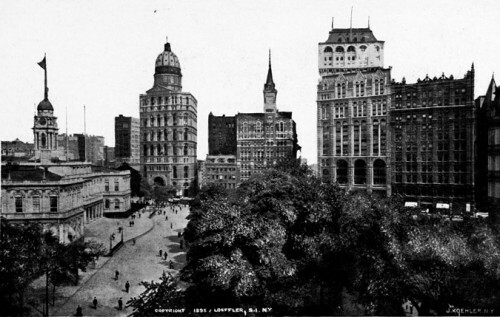 In addition to buildings being resilient, Drew said communities need to be able to react to changing weather patterns—perhaps by relocating or changing local land-use and zoning patterns. 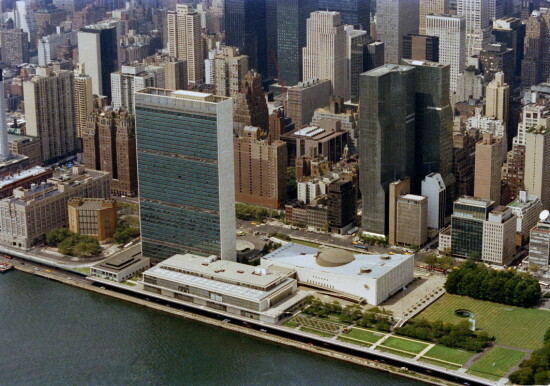 Ultimately the sustainability director for the firm behind Saudi Arabia’s Kingdom Tower and 215 West 57th Street in New York City was hopeful. “We do have a whole opportunity to build our way out of this, but we can't do it just on our own,” he said. “It has to be through collaboration with the supply chain … we also have to work with the legislators.” Watch more videos on CTBUH's website, and on YouTube. You can subscribe to the monthly video series here. 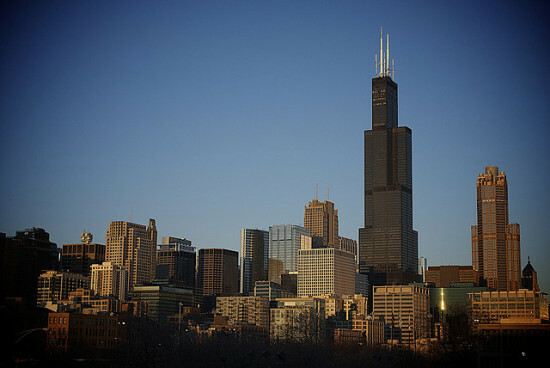 Chicago's tallest building may be on the market, and it might even have a buyer. Crain's Chicago Business reporter Ryan Ori said Tuesday that the owners of the Willis Tower have hired Eastdil Secured to seek a sale of the 110-story tower. Real estate mogul Joseph Chetrit, developer Joseph Moinian and Skokie-based American Landmark Properties could fetch as much as $1.5 billion—a sum that would dwarf some of the eye-popping price tags from 2014. 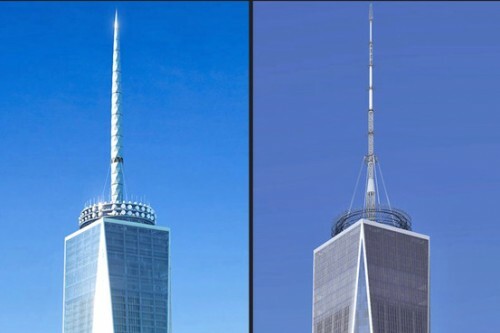 The current owners also broke records when they bought the tower in 2004 for $840 million. It's another sign of the real estate resurgence for downtown properties. Consider the $850 million deal to nab 300 North LaSalle Street, or the record-breaking sale of OneEleven. Completed in 1973 as the Sears Tower, the building was the world’s tallest for 23 years until Kuala Lumpur's Petronas Towers outreached Sears by a hair. Willis got its current name in 2009 as part of an agreement with London-based insurance broker Willis Group Holdings, though many Chicagoans steadfastly refer to it by its original name. 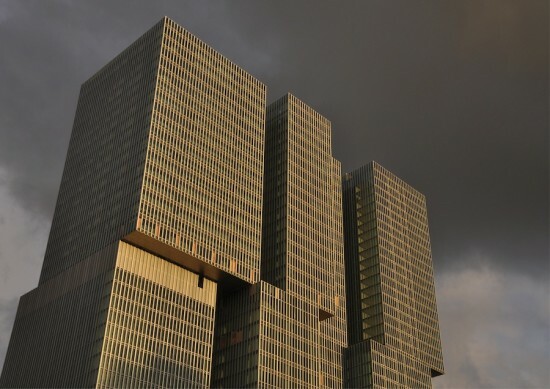 Designed by Bruce Graham and Fazlur Rahman Khan of Skidmore, Owings & Merrill, the building's powerful silhouette and distinctive expression of its bundled-tube structural system have made it a defining feature of the Chicago skyline. Willis is currently 84 percent leased. Its two largest tenants are United Airlines and law firm Schiff Hardin, who both have their corporate headquarters there. If the deal goes down, future owners would likely explore ways to lease new space—occupancy has risen in recent years as downtown neighborhoods have begun to attract more jobs and residents. Last year I served as special media correspondent for the Council on Tall Buildings and Urban Habitat‘s September symposium in Shanghai. The topic was “Future Cities: Towards Sustainable Vertical Urbanism,” and among the many architects, engineers and other tall thinkers I interviewed was Carol Willis of The Skyscraper Museum. We discussed if there's an optimum height for tall buildings, and balancing dense development with open spaces. “You can have places that are characterized as high-rise cities,” she said, “that have opposing models of the way that land is used. The densification of space, the densification of energy…is complemented by the open space, public space, advantages of nature spaces that benefit us all.” Willis also wondered whether the current Asian boom in very tall buildings has an historical precedent. “The Chinese cities you see today that are growing their skyscrapers as an image of ambition and identity is very similar to the forces of capitalism that produced the Woolworth Building or the Insurance Company Building,” she said. “What I think is most fundamentally different between the Chinese cities and the American cities at the turn of the century is who controls the land.” You can read more on CTBUH's website and share the video from YouTube. This Fall, I served as special media correspondent for the Council on Tall Buildings and Urban Habitat's September symposium in Shanghai. The topic was “Future Cities: Towards Sustainable Vertical Urbanism,” and among the many architects, engineers and other tall building types I interviewed was Mun Summ Wong of Singapore-based WOHA. WOHA's work celebrates human-scale spaces in high-rise buildings. Take the PARKROYAL on Pickering, a cluster of hotels in Singapore that spruces up the standard podium with lush greenery and sleek, curvilinear geometries. 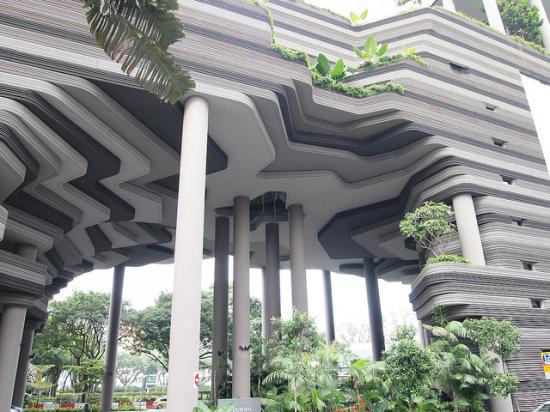 Its 15,000 square feet of green space climb up through the towers' balconies and terraces, in a sense extending nearby Hong Lim Park. 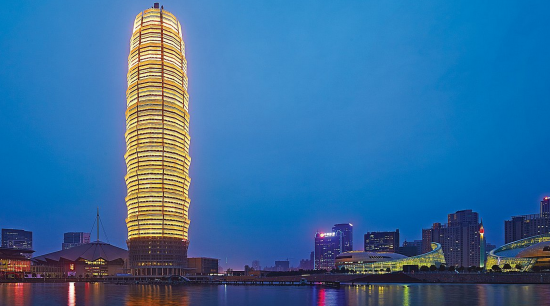 The project was one of CTBUH's Best Tall Buildings of 2013. In our interview, Wong discussed net-zero skyscrapers, urban sprawl and "using tall buildings as columns." 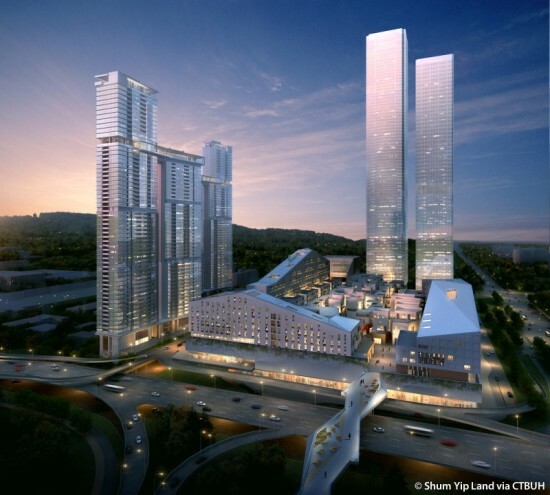 Watch the video above, courtesy CTBUH, in which Wong envisions his ideal future city. "The way forward isn't to continue with two-dimensional master planning where cities can only grow sideways," Wong said. "I think skyscrapers can do more than be themselves."